Are you on the verge of launching a new product? Or are you still in the process of developing one? Whatever the case may be, you obviously want to do everything you can to ensure your product launch is successful. That means you need to carefully plan every aspect of your launch – from product development to your product launch promotion. To help you with your product launch planning, here are six of the worst product launch failures, and what you can learn from them. 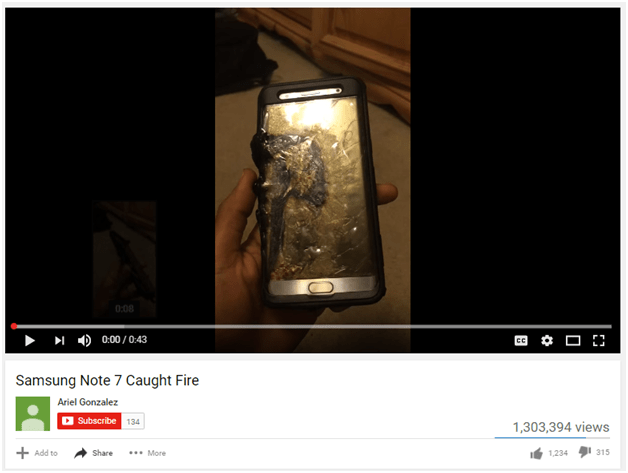 One of the biggest product failures in recent years was that of the Samsung Galaxy Note 7. Reports of explosions, batteries overheating, and burns were common for the phone. It launched on August 19, 2016, and by early September, Samsung stopped selling it. The brand issued a voluntary recall of the devices, during which they recalled 2.5 million units, according to Time magazine. Samsung then replaced the Notes with new devices, but the problem persisted. Various airlines around the globe started to ban the devices on flights, and Samsung ended up losing $14.3 billion in investments. Although Samsung has since stopped the production of the Note 7, the product had a lasting impact on the brand’s image. Improper product development was the biggest reason for the failure of the Samsung Galaxy Note 7. According to Wired UK, the problems were due to battery manufacturing issues. One mistake was committed by Samsung themselves, in regards to size. The other was incorrect welding of batteries by a third-party manufacturer. The blueprint for their device was great. They had everything else in place, but two tiny mistakes resulted in one of the worst product launch failures of all time. Some people even called it the worst tech failure of 2016. What’s important to learn from this example is that you need to carefully inspect every aspect of your product development before you even set a launch date. Otherwise, you might feel compelled to meet the deadline and rush through some crucial steps. And that could negatively impact your launch. Keep testing every element involved in your product development, and set your launch date only after you’re sure things are going smoothly. Even after you set a deadline for the launch and publicly announce it, you shouldn’t hesitate to push it back if there are unexpected delays. It might affect your reputation a bit, but not as much as it would if you launched a product that’s not ready. After the Pulse, Fitbit continued to experience issues with their fitness monitors. The Fitbit Pulse was recalled because it caused allergic reactions for some users. 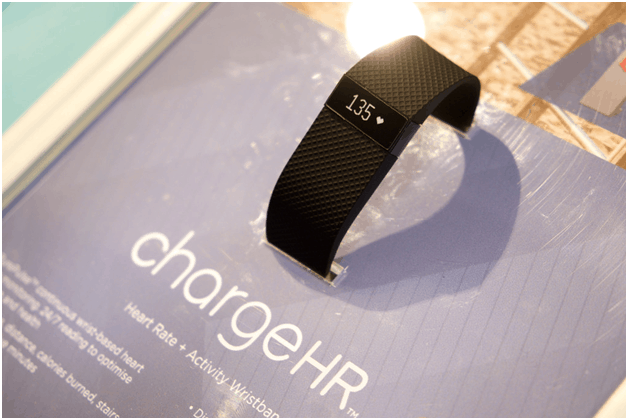 After that, the Fitbit Charge HR and Fitbit Surge fitness monitors were met with a class-action lawsuit in 2016 from users claiming the devices provided false reports. The Daily News reported that some users claimed the devices measured their heart rates much lower than they actually were. For instance, one user claimed that the Fitbit recorded her heart rate as 114 when another hand-grip heart monitor reported it as 155. The same user also claimed that the Fitbit reported that she had burned 250 calories when another neck monitor reported she burned 650 calories. These claims suggested that users may be working out much harder than they should be. And the reports went against Fitbit’s ad campaigns, which used slogans like, “Every Beat Counts,” and, “Know Your Heart.” According to the lawsuit, the devices are, “effectively worthless,” for monitoring heart rate. Time also reported a study, which proved the inaccuracy of the devices’ heart rate monitoring. Fitbit’s products may have been ready, and they may have been marketed effectively to succeed. In some aspects, they did succeed, but they failed to maintain that success in the long run. The technology used for monitoring was faulty and gave inaccurate results. The previously-cited study showed that the inaccuracy was approximately 20 bpm (beats per minute) compared to an ECG machine. This suggests that they were unable to develop the technology for which they had an excellent concept. While their products worked in theory, they were unable to live up to their claims. Another important lesson can be learned from the brand’s marketing message, which implied that the devices provide accurate heart rate reports. They chose a misleading UVP, (unique value proposition), and failed to deliver. It seems that wearable fitness trackers just aren’t making the cut when it comes to “product innovations.” The idea may be revolutionary, but brands seem to be struggling to turn their ideas into reality. Like the Fitbit, Nike has had their fair share of troubles with their FuelBands. Back in 2015, the sports brand had to settle a class-action lawsuit filed by users who claimed the device wasn’t providing accurate reports. The International Business Times reported that the reason for the lawsuit was because plaintiffs believed the brand violated consumer protection laws. That was because the brand made statements that could be considered misleading regarding the device’s ability to provide accurate fitness reports. Nike settled the lawsuit by providing $25 gift cards or $15 checks. The Nike+ FuelBand failed due to a number of other reasons, in addition to the inaccurate reports, according to Wareable. For instance, the brand only focused on iPhone users and practically ignored the other half of smartphone users. It was only two and a half years after its original launch that they launched the FuelBand app for Android users. By then, it was already too late. 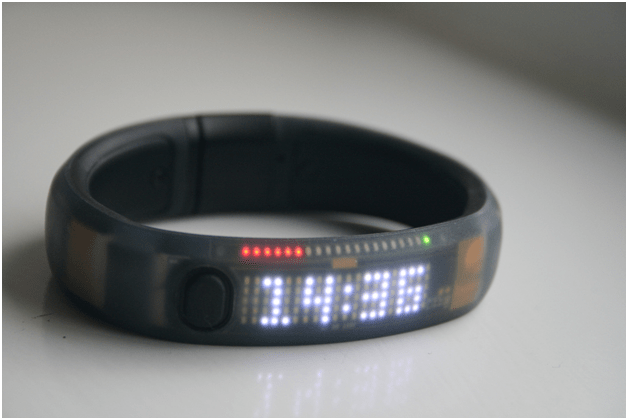 Like the lesson from Fitbit’s failure, the Nike+ FuelBand failure teaches us not to make false or misleading claims about what our products can do. But another important lesson from this example is to cater to the needs of all the consumers who might be interested in the product. By ignoring the needs of Android users, Nike failed to tap into a valuable potential market, and that also contributed to the FuelBand failure. It’s important to note that when you’re developing platform-specific tech devices, you may not have enough resources to cater to the needs of users across all platforms. That means that after your initial product launch, you should set a goal to further expand your reach. Don’t wait too long to target consumers using other platforms. Amazon’s Fire Phone also made a mark as one of the biggest product failures of 2014. Although it fulfilled its purpose by helping users compare the best prices of products with just the click of a button, it failed to satisfy certain needs of consumers. It seems that Amazon was so satisfied with the device’s efficiency, that they overlooked other crucial factors. For example, the design had no visual appeal, which was a major factor in its failure. 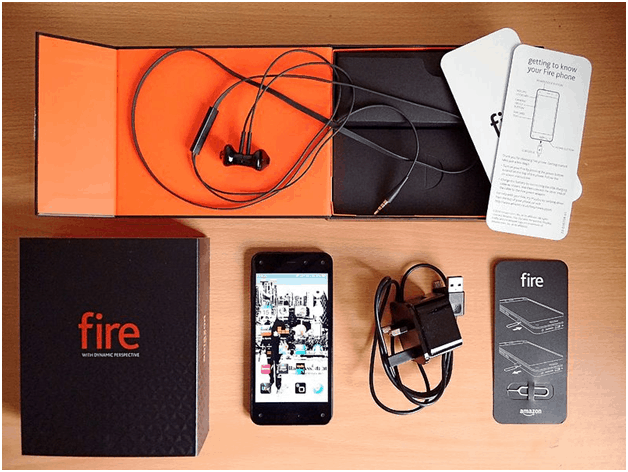 In an age where everyone is concerned about looking fashionable while still efficiently completing their tasks, the Amazon Fire Phone just didn’t appeal to consumers. This is perhaps why the retailer quickly discontinued production of the phone after selling their existing stock back in 2015. While the device was efficient for Amazon to meet their business objectives, it failed to meet the needs and wants of smartphone owners. The failure of the Amazon Fire Phone teaches several useful lessons. The company’s CEO, Jeff Bezos, told Business Insider that the Fire Phone disaster actually turned into a good thing. Despite the failure costing them millions of dollars, he explained that it was an experiment that helped them get closer to success. Bezos also said that in order to make it big, you need to first make, “big and noticeable,” mistakes. Regardless of what the company learned from their own mistakes, what we should learn from the Amazon Fire Phone failure is to put the needs of users first. Don’t focus on creating a demand for your product. Instead, create products that meet the demands of people. If your product fails to fulfill the needs of your target audience, there’s little chance it’s going to succeed, even with the most unconventional and sensational marketing efforts. Like the Samsung Galaxy Note 7, the Hoverboard was another tech innovation that went up in flames (pun intended). These self-balancing scooters initially hit it big in 2015. But soon after their launch, reports of Hoverboard fires started popping up. CNet reported that many of the fires started while the boards were charging. Others occurred while users where riding them. By July 2016, the U.S. CPSC (Consumer Product Safety Commission) had recalled half a million units in the U.S. It had been determined that the root cause of the fires was overheating lithium-ion batteries. 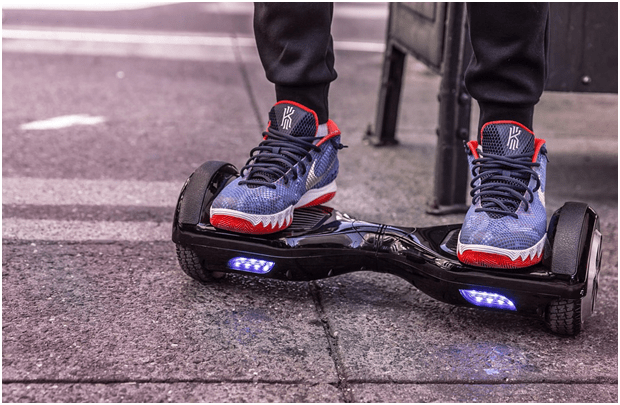 According to the CNet report, hoverboards do not have any safety standards. Nor do they fit into the existing safety standards of motorized scooters. Top retailers like Amazon and Target made an effort to ensure that each individual component passed a safety test. However, individual components having a safety certification doesn’t ensure the safety of the product as a whole. The lesson from the Hoverboard failure is similar to the Samsung Galaxy Note 7 failure. Both products did not undergo thorough testing. Additionally, there’s also the fact that there were no safety guidelines for the manufacture of these products. If you’re manufacturing something with no safety guidelines, you need to personally take it upon yourself to run a thorough test. It’s important that you ensure that your product doesn’t cause harm to consumers. Battlefield 1 wasn’t exactly a product launch failure. It was more of a product launch marketing failure. After posting just two images, the campaign received tons of backlash and caused quite a stir in the Twitterverse. After which, EA decided to halt the marketing campaign for a while, according to The Guardian. One of the images was a GIF of a soldier getting burned by a flamethrower. 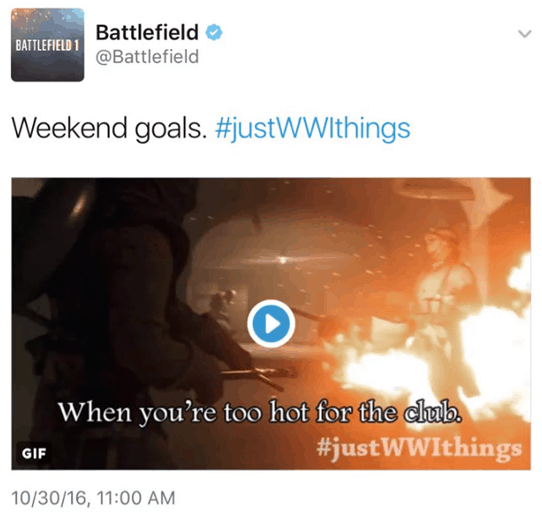 The caption read, “When you’re too hot for the club.” EA tweeted the GIF with the text, “Weekend goals. #justWWIthings.” The post sparked an outrage, not only on Twitter but on other social media platforms as well. The second image showed soldiers in a battlefield. It included the text, “When your squad is looking on point.” It sparked less controversy but wasn’t met with much appreciation either. All of this happened just 2 weeks before Remembrance Sunday. The holiday is similar to Veteran’s Day and commemorates the loss of British military in both World Wars. The campaign was clearly very poorly timed. Many social media users expressed their disappointment with it for being insensitive towards people who died during the war. EA promptly removed and apologized for the posts. But hundreds of Twitter users had already used the hashtag to condemn and mock the game, (as you can see in the tweet below). As mentioned earlier, the biggest problem with this product launch was the insensitive nature of the promotion. Their mistake shows that product launch marketing can quickly make, or break your new product. The #justWWIthings campaign didn’t exactly ruin the launch. But it did have a huge impact on the opinions of many social media users, who may have otherwise been potential customers. During the brainstorming session of your product launch promotion, you need to carefully plan your strategy. If it’s a sensitive matter, will you be offending people by adding light humor? What kind of humor will best suit the campaign? Are there any upcoming holidays or events that may impact your product launch? All of these questions can make a huge difference in how well your marketing campaign promotes your launch. As you’ve seen above, many new products are epic fails. In fact, research shows that anywhere from 30% to 80% of new products fail. Frightening thought, right? When it comes to launching new products, even well-established industry leaders like Amazon and Nike make the occasional mistake. Luckily, we can learn a lot from their failures. Keep their mistakes in mind as you plan your product launch marketing strategy. What did you think of these products? Are there any other epic product launch failures you’d like to add to the list? Let me know in the comments below. And feel free to connect with me if you want to make sure your product launch doesn’t end up a disaster.